Ian Frenette is a veteran executive for big-time professional sports organizations. He worked for years as the vice president of corporate sponsorships for the Boston Celtics and, before that, in a similar role for the Deutsche Bank Championship golf tournament. 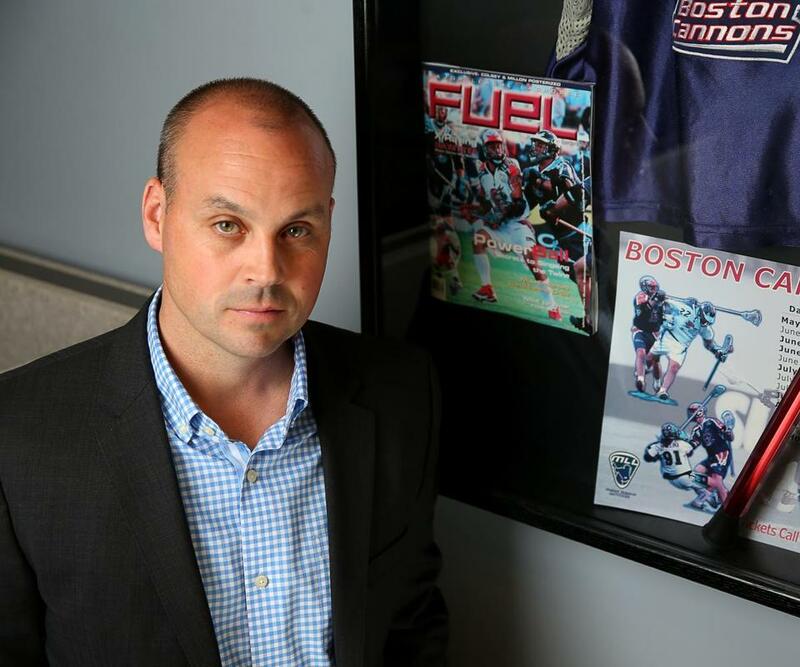 But last October, Frenette left the bright lights behind and signed on as president of the Boston Cannons, the city’s humble and little-known Major League Lacrosse team. Now, he says he’s on a mission to garner a larger audience and increased revenues for the sport. He spoke about the job. 1. Unlike the highly paid athletes in the NBA, most Cannons players work day jobs during the week. They report to practice Friday nights, then play games Saturdays at Harvard Stadium in Allston. Frenette said they’re a different breed from the superstars he knew on the Celtics. 2. Frenette also received offers from Major League Baseball and the National Football League but decided to take the Cannons job because it allowed him to stay in the Boston area, where his wife is an elementary school teacher. It also offered flexibility — important for the father of two boys under the age of 3 — and gives him more individual influence as the president of one of just nine teams in the 15-year-old league. 3. Frenette said his biggest challenge is to increase attendance, in particular by using digital content to connect with youth leagues, former high school and college players, and their families. He’s also working to sign up corporate sponsors. To that end, the Cannons last week inked a deal with Dunkin’ Donuts that includes signs at Harvard Stadium, in-game promotions, and naming rights for skills competitions the team hosts. 4. Frenette grew up in Canada’s Nova Scotia province, playing hockey and worshiping Wayne Gretzky. He never played lacrosse himself but said he’s quickly learning to love the sport. 5. Some in the Boston Cannons organization were skeptical of Frenette because of his lack of lacrosse experience. But he said much of the Cannons’ leadership also came from other professional sports teams, and that he’s staying focused on the business side of the team.